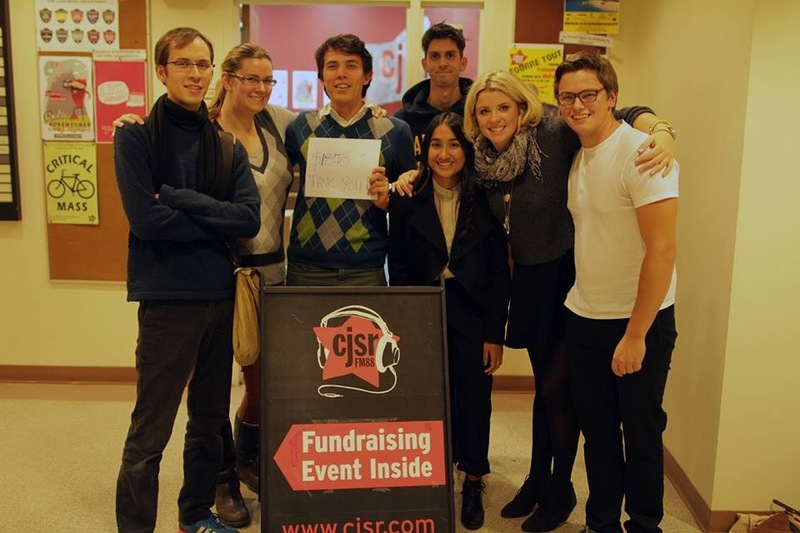 The Terra Informa team from our CJSR FunDrive show in 2013. I’m about to take a big move. After two years working at the Alberta Council for Global Cooperation, I’ve decided to take a leap into a job in radio. This month I will become the News Coordinator at CJSR 88.5 FM, the Edmonton community radio station where I’ve been working on Terra Informa. I love my team at Terra Informa. It embodies many of the best things I like about storytelling and volunteering. Our team is willing to take risks, like traipsing around in the snow and rattling the fence outside a planetarium after dark to narrate a whole episode about night. Everybody genuinely cares about each other, and recording together always feels like friends sitting down to have a good conversation. Now I’m going to be managing the current and new rosters of volunteer contributors for all of CJSR’s Spoken Word shows, from our queer community anchor GayWire to University of Alberta partnerships like The Gateway Presents. I’m really excited to have the opportunity to work with CJSR’s impressive base of volunteers and community supporters and build on our legacy of independent, award-winning spoken word programming that challenges the status quo. My predecessor Matt Hirji has a gigantic mural of Ira Glass on his wall, good-naturedly watching out, eyes clearly curious and hungry as all get out. Ira will be hovering over me too on my new journey. Wish me luck.